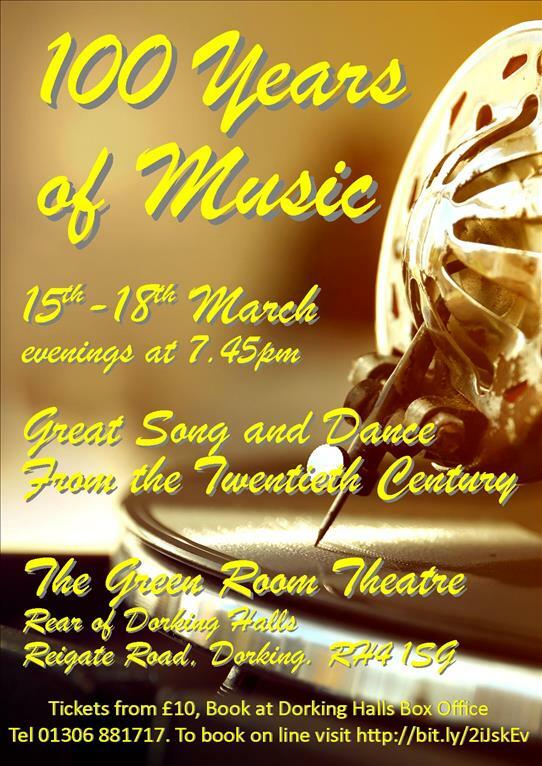 Additional Info Dorking Dramatic and Operatic Society invite you on a musical journey spanning ten decades. From the comedy of music hall, the poignancy of songs from the First and Second World Wars, right through the swinging sixties and seventies and up to the turn of the century, 100 Years of Music is a celebration of the diversity and originality of music, song and dance from the twentieth century. Enjoy a combination of songs from musicals, popular songs and exciting dance numbers from across the eras, all guaranteed to get your feet tapping and heart racing.